The International Wildlife Film Festival is the first festival of its kind and the longest running wildlife film festival and conservation conference in the world. We have a longstanding international reputation for finding and nurturing the best wildlife films from around the globe, and facilitating dialogues on issues of nature and conservation. This year, we aim to make a local splash: entice Montanans back into the Roxy by offering a rich variety of fun screenings and events, and creating opportunities for the community to engage with luminaries from the fields of wildlife filmmaking and conservation. Reconnecting with our Montana Community: In addition to beloved local events like the WildWalk and WildFest, this year's festival will engage the community with WildCARP (Community Activists and Resource Projects) booths, community celebrations, and film strands designed with regional interests in mind. Supporting Emerging Filmmakers: The festival features a wealth of exciting opportunities for delegates to engage and network, from panel discussions and workshops to industry sponsored networking events and the popular daylong retreat. Encouraging Ethics in Wildlife Filmmaking: The festival will host workshops, readings and screenings designed to provoke discussion and action among wildlife filmmakers and conservationists. The 36th annual festival will premiere breathtaking nature films; introduce families to cool wildlife, thrill-seekers to weird and radiant creatures alike, and give wildlife aficionados a peek at new work by BBC World and National Geographic; bring heroes from the conservation field into Missoula for lectures, parties and retreats; and be a beacon in the growing world of nature and wildlife filmmaking. Join us for a remarkable week of films, workshops, panel discussions, and parties honoring breathtaking new work and key figures in wildlife film and conservation. For information on press passes and advance screeners, or to connect with IWFF producer Mike Steinberg, please contact the International Wildlife Film Festival at press@wildlifefilms.org. Sunday, April 28 – Kick off the festival in style with the WildWalk parade! At this fun and free community event, children and families dress like their favorite wild animals to dance, crawl, swing and slither through downtown Missoula. Meet at the Big Red XXXXs [100 Railroad St W] at 11:45 a.m. The parade culminates in Caras Park with WildFest, a community celebration featuring live music, local vendors, face painting, and more. 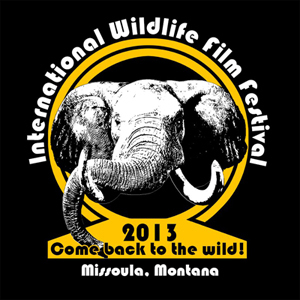 Vendors may pre-register with the festival by calling (406) 728-9380 or visiting www.wildlifefilms.org. New this year, the International Wildlife Film Festival opens its doors to Community Activists and Resource Projects (WildCARP). These regional activists and nature advocates will set up shop in the Roxy to educate, inform, and engage with festival attendees. This year, the International Wildlife Film Festival has something for everyone. Programs will be divided into “strands” which highlight themes and help guide your festival experience. We’ll have programs for children, families, academics, nature and wildlife film fans, and more. This year’s strands include Hello Kitties – films featuring fascinating felines of the world; Being Green – stories about our ever-changing planet; and A Life Aquatic – explorations of mysterious and beautiful underwater worlds. The festival will invite students from Missoula schools into the Wilma and the University of Montana for special screenings of festival films. Plus, each day we’ll feature films particularly well suited for children and families. This is a great opportunity to introduce kids to cool animals, educate them on issues of nature and conservation, and boggle their minds with the majesty of wildlife from around the world. Wednesday, May 1 – We’re opening up coveted space in the festival’s Daylong Retreat. Local nature and filmmaking aficionados can purchase a one-day pass and mingle at the retreat with delegates and luminaries in the fields of conservation and wildlife filmmaking. Moderated by Chris Palmer, Director of the Center for Environmental Filmmaking at AU, the retreat will address building viable partnerships for a comprehensive war on poaching. Registration includes a continental breakfast, lunch, entertainment, and transportation to and from the retreat. Look to our website in the coming weeks for details. Friday, May 3 – Participants have a unique opportunity to go into the field with acclaimed wildlife photographer Antonia Wolf, and learn the art and craft of wildlife photography. This workshop is open to all; previous experience not required. Registration Fee: $125 (transportation included). Saturday, April 27 – Join us at Shakespeare & Co. for a reading with acclaimed Montana poet Melissa Kwasny. Melissa will read from Earth Recitals: Essays on Image & Vision. Melissa Kwasny is an author of four collections of poems, including The Nine Senses (Milkweed Editions, 2011) and Thistle (Lost Horse Press, 2006), winner of the Idaho Prize for Poetry. She is also editor of the celebrated anthology, Toward the Open Field: Poets on the Art of Poetry 1800-1950 (Wesleyan University Press) and co-editor (with M.L. Smoker) of I Go to the Ruined Place: Contemporary Poems in Defense of Global Human Rights (Lost Horse Press). She lives in the mountains near Helena, Montana. On Saturday, April 27, join us at Shakespeare & Co. for a reading with acclaimed Montana poet Melissa Kwasny. Melissa will read from Earth Recitals: Essays on Image & Vision. Melissa Kwasny is the author of four collections of poems, including The Nine Senses (Milkweed Editions, 2011) and Thistle (Lost Horse Press, 2006), winner of the Idaho Prize for Poetry. Then, on Tuesday, April 30, Fact & Fiction will host a reading and discussion of Todd Wilkinson’s new book, Last Stand: Ted Turner's Quest to Save a Troubled Planet. The discussion will address Turner's belief in and support of wildlife filmmaking as a vital force in advancing conservation. The book explores, among many subjects, the largely untold story of the personal relationship between Turner and Jacques Cousteau, and how a film project galvanized their friendship. Friday, May 3 – This year, our special events include the presentation of the Conservation Hero of The Year Award to Mateus Mutemba for his extraordinary work with the Gorongosa Restoration Project, and the IWFF Lifetime Achievement Award to filmmakers/conservationists Howard & Michelle Hall. Awards for IWFF will be announced at a special ceremony on May 3 at the Roxy Theater. Several of the top award-winning films will rescreen Saturday, May 4. This program of Award Screenings will be announced online at www.wildlifefilms.org. This year’s Lifetime Achievement Award will be presented to filmmakers and conservationists Howard & Michelle Hall, and the Conservation Hero of The Year Award to Mateus Mutemba for his work with the Gorongosa Restoration Project. Screenings are developing daily. All screenings take place at The Roxy Theater, unless otherwise noted. For more information, including the full film schedule, special events, film stills, and director bios, visit www.wildlifefilms.org. Melissa Kwasny reading, 5:00 – 7:00 p.m., Shakespeare & Co. [103 S 3rd St W], free and open to the public. Melissa will read from Earth Recitals: Essays on Image & Vision. Opening Night, now at the historic Roxy Theater, 7:00 p.m., open to the public. A presentation of Wings of Life. Sponsored by Saint Patrick Hospital. WildWalk & WildFest, 12:00 – 3:00 p.m., lineup at the Big Red XXXXs at 11:45 a.m. [100 Railroad St W] and wind down in a parade to Caras Park, free and open to the public. Dress as your favorite animal in our wildly popular WildWalk parade. Dance, crawl, swing and slither down Higgins Street, ending at Caras Park. Then, stay in costume for WildFest, and enjoy live music, concessions and entertainment with your fellow wild animal revelers. Vendors must pre-register with the festival by calling (406) 728-9380 or visiting the IWFF website. Family Films @ The Wilma, all day, open to Missoula students. FREE Movie Monday, 7:00 p.m., The Top Hat [134 W Front St], free and open to the public. Join us for a rescreening of a beloved wildlife film in the newly renovated Top Hat. Doors open at 6:00 p.m.
Networking/Connectivity Workshop, 10:00 – 10:45 a.m., The Roxy Theater [718 S. Higgins]. Chris Palmer, Director of the Center for Environmental Filmmaking, leads this workshop designed to make you think about who you know and how you connect. Opening Presentation, 10:45 a.m. – 12:00 p.m., The Roxy Theater [718 S. Higgins]. Ted Turner is known as one of the world's great conservationists, humanitarians and provocateurs. Nowhere is his commitment to species and habitat restoration better known than in Montana. Join us as Chris Palmer talks with author Todd Wilkinson about his newest book, Last Stand: Ted Turner’s Quest to Save a Troubled Planet. IWFF Lifetime Achievement Award For Media, 6:00 p.m., UC Theater [University of Montana, 32 Campus Dr], free and open to the public. Honorees Howard and Michele Hall will discuss their work as award-winning natural history filmmakers and photographers. Sponsored by The University of Montana, The President’s Office, and hosted by President Royce Engstrom. President’s Office IWFF Lifetime Achievement Dinner, 7:00 p.m., University of Montana [32 Campus Dr], open to registered delegates and by invitation. Featuring live music by Kendl Winter, with dinner to follow the special presentation. Book Reading & Signing, 6:30 p.m., Fact and Fiction [220 N Higgins Ave], free and open to the public. Author Todd Wilkinson will read from his newest book, Last Stand: Ted Turner’s Quest to Save a Troubled Planet. Featuring appearances by Chris Palmer, Director of the Center for Environmental Filmmaking, and Dan Flores, Professor of Western History at the University of Montana. Daylong Retreat, 9:00 a.m. – 3:00 p.m., location TBA, open to registered delegates (with a limited number of one- day passes available). Learn from and collaborate with other passionate wildlife filmmakers, producers, conservationists, scientists. Moderated by Chris Palmer, with special guests Mateus Mutemba and John Hemingway. Filmmaker Reception, 8:30 – 10:30 p.m., The Loft [119 W Main St]. Music by DJ Colin Pruitt. Sponsored by the Montana Film Office. Industry Workshops - TBA, 10:00 a.m. and 1:00 p.m., The Roxy Theater [718 S. Higgins]. Winery Tour, 4:00 p.m., Tenspoon Vineyard & Winery [4175 Rattlesnake Dr], open to registered delegates and invited guests. Take a tour of this scenic Missoula vineyard, and sample some of their fantastic wine along the way. Featuring live music by Josh Farmer. Field Photography Workshop, 9:30 a.m., The Roxy Theater [718 S. Higgins], $125 and open to the public. Acclaimed wildlife photographer Antonia Wolf will take participants into the field to learn the art and craft of wildlife photography. Previous experience not required. Transportation included in registration fee. IWFF Awards Reception, 5:00 – 7:00 p.m., The Roxy Theater [718 S. Higgins], free and open to the public. Come celebrate our 36th annual festival award winners and enjoy live music by Britchy. Part of the Missoula First Friday events. Closing Day Fiesta, 9:00 – 11:00 p.m., The Empanada Joint [123 E Main S], open to registered delegates. ¡Just in time for Cinco De Mayo! Enjoy live salsa music by Trio Loco and celebrate this year’s festival. We’d like to express our gratitude to this year’s generous sponsors: National Geographic, Animal Planet, UMT, First Security Bank, Community Medical Center, Western MT Clinic, and Panasonic. The International Wildlife Media Center, a 501(c)3 based in Missoula, Montana, is a year round media center with a focus on wildlife, habitat, people, cultures and nature. IWFC produces two annual events, The International Wildlife Film Festival, the longest running wildlife media event in the world, and CINE (October 18 - 24), a week long event designed to inspire serious dialogue, awareness and understanding of major international, cultural and environmental issues, through the presentation of engaging non-fiction film. IWFC is headquartered at the historic Roxy Theater, the base from which we present film premieres, youth programs, and filmmaking workshops throughout the year. In addition, IWMC offers theater rentals, post-festival film tours, and the EarthVision Video Library consisting of thousands of films from our annual festivals. Disclaimer: Wildlife-film.com publishes information and opinions as a service to its members and visitors/readers.